Vectorborne diseases are transmitted by insects like mosquitoes, ticks and fleas, and by rodents. 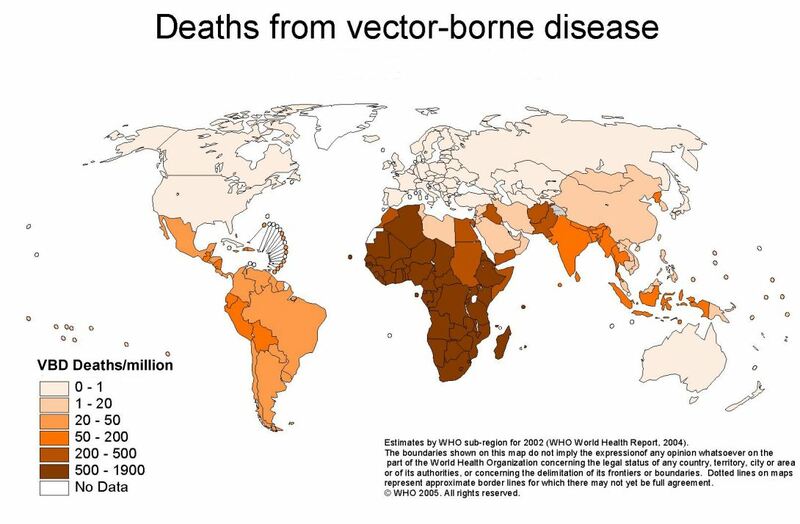 These vectors can carry and transmit pathogens such as malaria, Lyme disease, and dengue fever. Temperature and precipitation are key determinants of the range and prevalence of these diseases. Climate change is likely to affect transmission and infection patterns, changing both the seasonal risk and geographic range of vectorborne diseases. Further, it is highly likely that climate change will alter habitat and other factors that influence the emergence of novel vectorborne diseases.